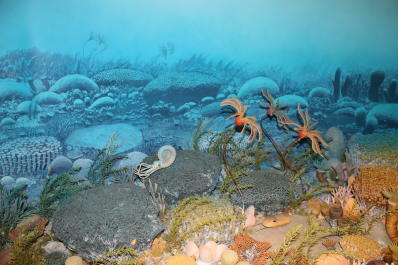 The Silurian Period (443 to 419 million years ago) was dominated by marine life including corals, trilobites, and shells. Fossils from the park’s collections will be shown as we explore the abundance of fossils found in Kentuckiana. Part of our program series “Marine Life of Today and Yesterday,” presented by park paleontologist & naturalist Alan Goldstein, with the Falls of the Ohio State Park for 25 years.